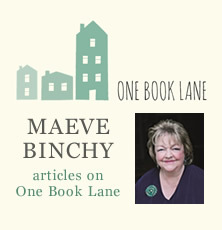 This questions and answers section is compiled from interviews with Maeve Binchy during her writing life. Can you describe an ordinary day? How do two writers cohabit in one home? You’ve said that you were desperate to be famous – why and for what? You’ve also said you feared seeing a vision like St Bernadette – what did you mean by that and did you ever see such a thing? As a teacher, what was the most important thing you wanted to give to the children? 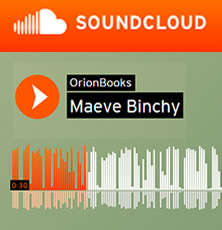 Are all your books set in Dublin? How have you felt about the screen adaptations of your books? Are you ever afraid you’ll run out of ideas? Do you have any idea what the secret of your success is? Outside of writing, what do you love more than anything? Is there any particular character of yours that you are especially fond of? Are any of them based on real people? Some appear in several novels and short stories; and you’ve set a number of books in the same place in Dublin. What made you think of doing that? Is there anything you really wish you had written but never got around to? Any good de-cluttering manual. My life and house and study and mind are all full of clutter. I would love to have researched a way to get rid of it, and maybe some of the good advice I unearthed would have rubbed off on me. 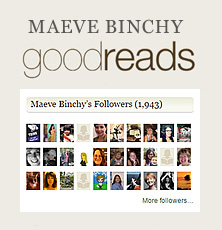 What would you like to say to aspiring authors? What do you most hope that people will say about your novels fifty years from now? I guess I’d hope people understand that we only get one life and it will be what we made it to be and there are no short-cuts. Being wealthy doesn’t necessarily make you happy, nor being beautiful or thin or married. And nobody’s life is ordinary if we know where to look. And if we gave you three wishes?